Born in Hollywood, California, Leslie Monsour grew up in Mexico City, Chicago, and Panama. She was educated at Scripps College in Claremont California, Canal Zone College in Panama, and received her BA in English literature at the University of Colorado in Boulder with a minor in Hispanic literature. Monsour has been a reference assistant at the Huntington Library in Pasadena, California, a news reporter for Pacifica radio, a book critic for the Los Angeles Herald Examiner, and a research consultant for documentary films. She has been a poetry instructor for the bilingual and gifted programs of the Los Angeles school system and the Writers’ Program at U.C.L.A. Extension, and has taught master classes in poetry for the College of Creative Studies at the University of California at Santa Barbara, the Extension program of U.C. Berkeley, The English Departments of El Camino and East Los Angeles Colleges, the PEN Center USA Emerging Voices program, and the alumnae of Scripps College. Publications include: Books: Earth’s Beauty, Desire, & Loss, R.L. Barth 1998; Indelibility, Aralia Press 1999; Travel Plans, R.L. Barth 2001; The Alarming Beauty of the Sky, Red Hen Press 2005; The House Sitter, Finishing Line Press 2011; Rhina Espaillat: A Critical Introduction, Story Line Press 2013 Anthologies: A Formal Feeling Comes. Poems In Form By Contemporary Women, Story Line Press; Visiting Emily: Poems Inspired by the Life and Work of Emily Dickinson, University of Iowa Press; Northern Music. Poems About and Inspired by Glenn Gould, John Gordon Burke, Publisher; Mischief, Caprice, & Other Poetic Strategies, Red Hen Press; The Paradelle, Red Hen Press; California Poetry from the Gold Rush to the Present, Heyday Press; Between Worlds, 5th edition, Pearson Education, Inc.; Rhyming Poems. A Contemporary Anthology, Univ. of Evansville Press; Poetry Daily Essentials, 2007, Sourcebooks, Inc.; The Able Muse Anthology, Able Muse Press; The Woman in this Poem. Women's Voices in Poetry, Plumleaf Press, 2015. Journals: The Birmingham Poetry Review, Hellas, The Lyric, The Plum Review, Fourteen Hills, Pivot, Schuylkill Valley Journal of the Arts, The Dark Horse, The Formalist, Able Muse, The Edge City Review, Iambs & Trochees, Measure, Mezzo Cammin, Cadenza, The Raintown Review, The Chimaera, First Things, String Poet, The Rotary Dial, American Arts Quarterly, The Alabama Literary Review, Light, Literary Matters, and Poetry. The journalist, Brendan Bernhard, featured Monsour’s work in his award-winning LA WEEKLY article on Los Angeles poets, reprinted by Red Hen Press in the 2003 volume of essays, The Misread City. New Literary Los Angeles. In addition, Monsour’s poems have been featured several times in Poet Laureate, Ted Kooser’s nationally syndicated newspaper column, “American Life in Poetry,” and Garrison Keillor’s NPR radio program, “The Writer’s Almanac,” as well as interviews and readings over the airwaves of KPFA in Berkeley and KPFK in Los Angeles. Leslie Monsour has been a featured speaker at West Chester University’s annual poetry conference in West Chester, Pennsylvania, as well as the Poetry by the Sea conference in Madison, CT, addressing topics of rhyme, poetry publishing, her own poetry, the poetry of Richard Wilbur, Edgar Bowers, as well as the life and work of poet, Rhina Espaillat. 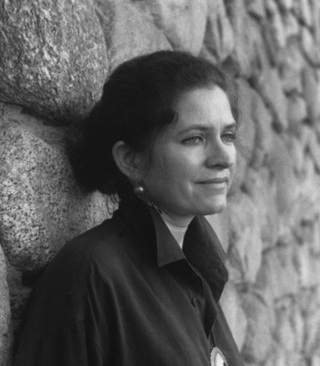 In April, 2003, she and the poet, Timothy Steele, organized and hosted “Otherwise We Fall into Prose: Formal Poetry in California,” a colloquium held at the Huntington Library in Pasadena, CA. In the same year, she presented “Punished Happiness: Themes of Change and Loss in the Poetry of Edgar Bowers” for a tribute to the late poet held at UCLA. In May of 2011, Monsour was invited to lecture on her translations of the sonnets of Sor Juana Inés de la Cruz for a conference held at Cal State L.A. Her critical essays on the poets Richard Wilbur, Dana Gioia, Rhina Espaillat, and Sor Juana are published in the journals, Able Muse, The Edge City Review, and Mezzo Cammin. She is currently an independent scholar at the Huntington Library in San Marino, California. Monsour has been nominated for five Pushcart Prizes, and, in 2007, was the recipient of a Fellowship in Literature from The National Endowment for the Arts. Her collection, The House Sitter, was awarded First Prize in the 2010 Finishing Line Press Open Chapbook Competition. She and her husband reside in the Hollywood Hills of Los Angeles. They have two sons.